A young witch in red in the forest will twist his staff over his head. 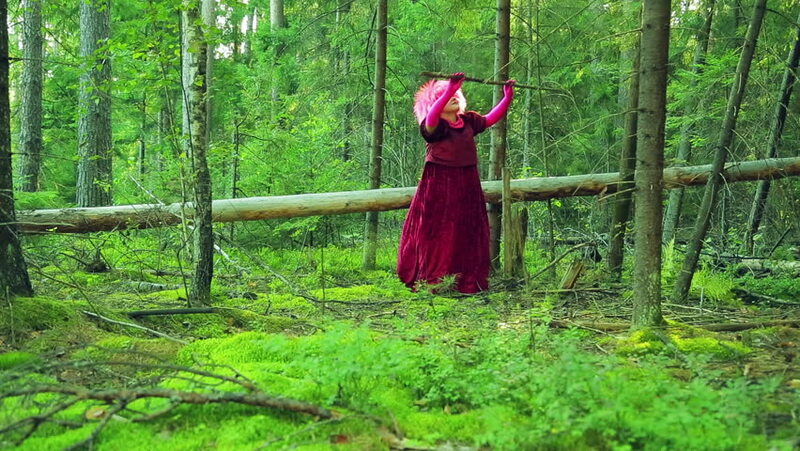 hd00:07A young witch in red in a forest glade performs ritual actions with a staff. hd00:05The laughing witch in the forest glade is dancing with the branches of the fern. hd00:09the little boy and girl are having fun watering the flowers in the garden using the garden hose on a Sunny day. hd00:08A very beautiful and fashionable woman in a red dress walks through the forest.